A key part of Factions is that anyone can start or join a match anytime. This is critical because it means there’s no need to wait around for CupcakeTrap or another staffer to run something: you can take the initiative and do so yourself whenever there’s interest. 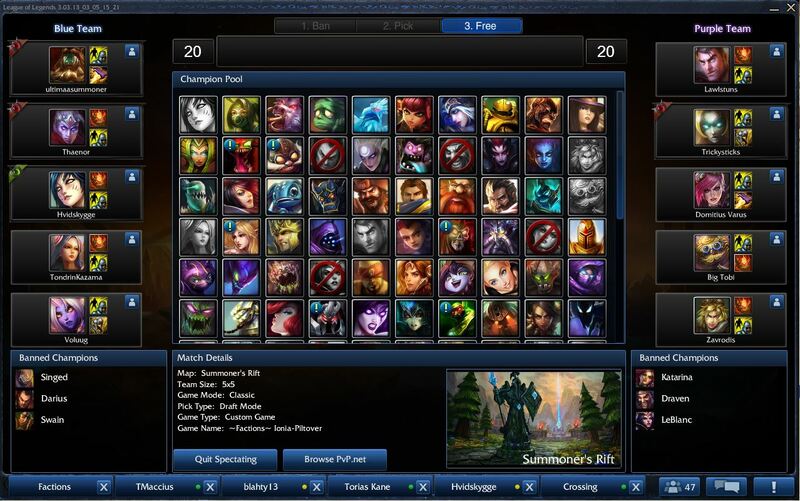 Recent changes to the client have also changed Factions match creation. We hope to have a more detailed guide posted here soon. In the interim, your best bet is to hop on Discord and join the match-creation chat. Don’t forget to submit the match results! The winning team has the responsibility of sending the results in so that the match can be scored.